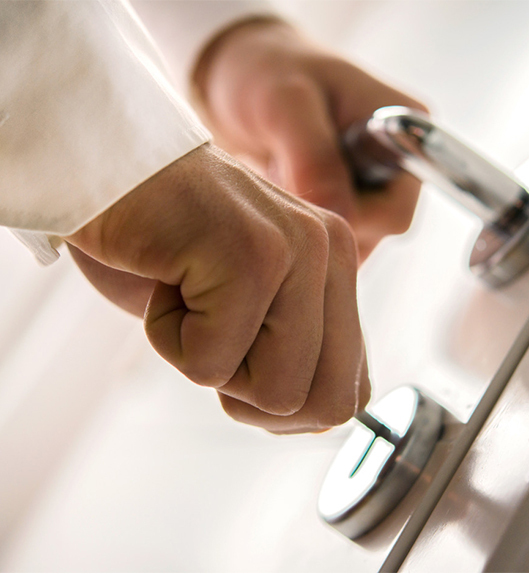 At Blackpool Lock Services we can help you with a variety of emergency locksmith services. We never think it’s going to happen and it is very rare but there is many ways a lock can just stop working. Whether it’s due to general wear and tear, accidental damage or vandalism when faced with a broken lock you’ll quickly need the help of an emergency locksmith. At Blackpool Lock Services we cover more than just Blackpool we also cover the surrounding areas like: Lytham St Annes, Poulton Le Fylde, Fleetwood, Thornton and Cleveleys. Getting locked out or locked in your property is a stressful situation that causes a lot of delays and in the case of commercial properties like shops and other businesses it could lead to loss of money. This is why you can count on Blackpool Lock Services to get any emergency locksmith job done quickly so, you can regain access to your property quickly. We also provide a variety of different services so you won’t always need to buy new locks and keys. Whether it’s a house, apartment, shop or any other type of property Blackpool Lock Services emergency locksmith service can help you get access to your property quickly. We operate a 24 hour call-out service all across Blackpool and the surrounding areas. Whether you’ve been locked out of your home, vehicle or business premises, we will be able to help. We offer non-destructive entry as well so, you can be confident we’ll gain you access with the minimum disruption.